Dwayne Derosario and his Foundation partner up with the Sandals Foundation to create a football experience for the local youth in Barbados. Sandals Foundation and the DeRo United Foundation have proven to be a winning combination for positive social growth in Barbados. The two charitable entities recently completed a one week soccer camp at the Dover Playing Field which saw 53 kids aged from 4-16 attend and leave renewed with improved football skills and life lessons to carry forth. Headed by retired former MLS soccer player Dwayne De Rosario and his team; the coaches were hosted at Sandals Barbados and got a first-hand look at the talent the island has to offer. (We) are always seeking ways to develop our young people. 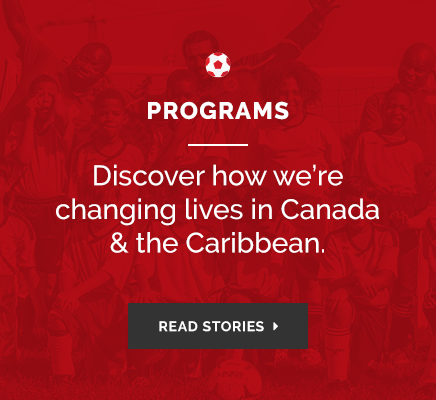 This program is about more than just sports, we’re trying to build a better future for the Caribbean, one child at a time. Dero Foundation in Barbados from London Images on Vimeo.